“The fact is, that human health has only ever progressed because of innovation. Penicillin. Anesthesia. Germ theory. Sanitation. Mapping the human genome,” Dr. Tedros said, speaking Tuesday at the opening of Unitaid’s 2019 Grant Implementers’ Forum. 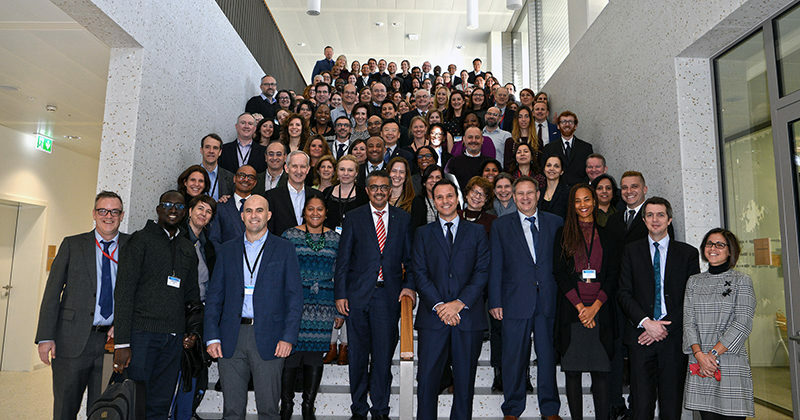 Dr. Tedros addressed Unitaid’s secretariat and an audience of global health experts, agenda leaders and 100-plus strategic and operational staff engaged in Unitaid’s 42 active grants. “The entire health system benefits from the projects you fund and the price reductions you negotiate,” Dr. Tedros said. WHO has a special role to play, he said, in securing large-scale introduction of health innovations. Tedros endorsed Unitaid’s new work against Plasmodium vivax malaria, as well as the organization’s efforts to apply long-acting technologies to the fight against HIV, tuberculosis, malaria, and hepatitis C in lower-income countries. The forum runs through Wednesday, with a focus on “scalability”—the expansion of proven innovations to all those who need them.